"Our Cattle make Sense .... Dollars and Cents"
Like our motto says, our cattle have to make us money. 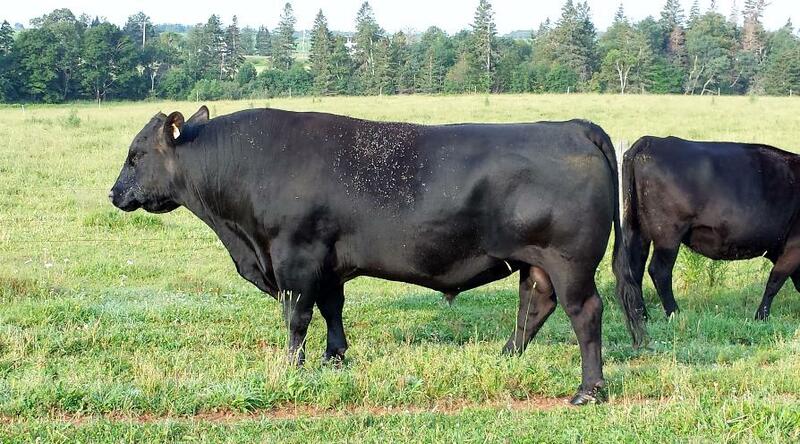 Angus cattle are very efficient and can survive on forages alone. We have been breeding purebreds since 1986 and focus on producing bulls for the commercial cattleman and purebred females. We were very proud to be awarded the 2006 Maritime Angus Association Commercial Breeder of the Year. 2012 calves sired by our herdsires HF Torque 171W, Worth-a-Bit New Frontier 1U ai by Double AA Old Post, Soo Line Kodiak 9195 and Connealy Thunder. 2013 calves will be sired by our new junior herdsire Chico Xplosive 8X HF Torque 171W some AI calves by Sooline Kodiak 9195, Connealy Thunder. 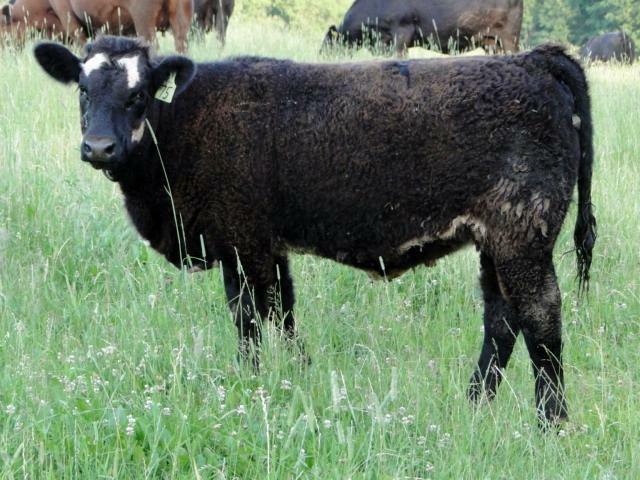 By breeding some of our maternal angus females to "club calf" bulls that have great phenotype, we can sell some prospect calves and reach a different market. 2012 calves sired by Eye Candy and Mercedes Benz. 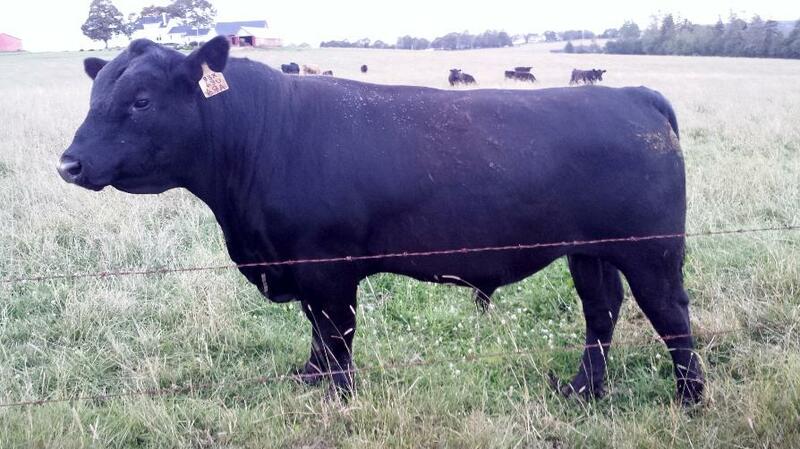 2013 calves to be sired by Eye Candy and Predator. 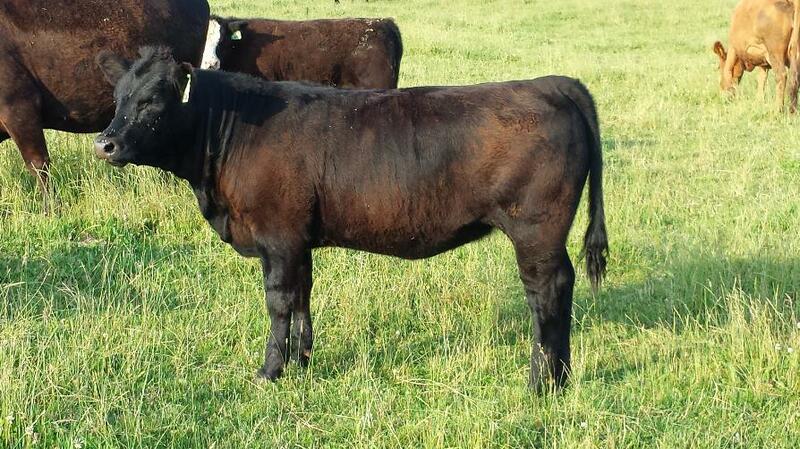 Eye Candy steer sold to Colby MacQuarrie and Corey Ford. Champion Limousin steer PEI Easter Beef Show. Worth-a-Bit In Focus bred heifer SOLD! Eye Candy steer sold to Colby MacQuarrie and Corey Ford. 3rd place AOB steer at 2012 PEI Easter Beef Show.